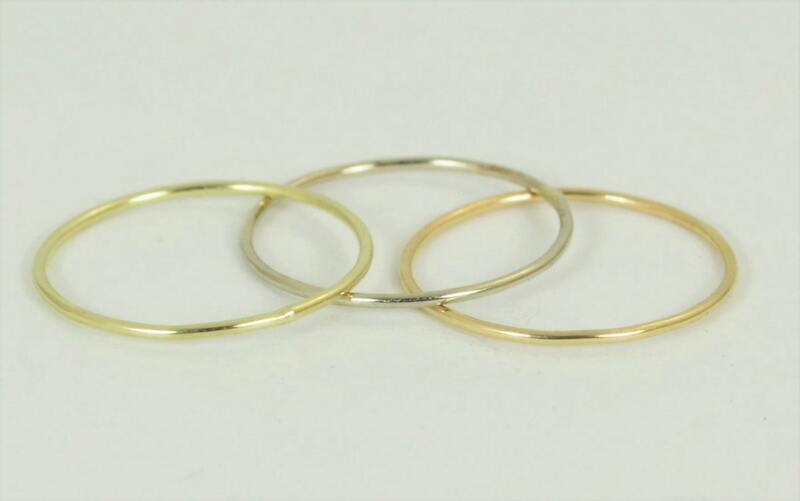 This 3 Ring Solid 14k Yellow, White, and Green Gold Ring Set will make a gorgeous addition to your jewelry collection. This rustic yet sophisticated ring set looks great on the hand, and is just the subtle ring set you have been looking for. 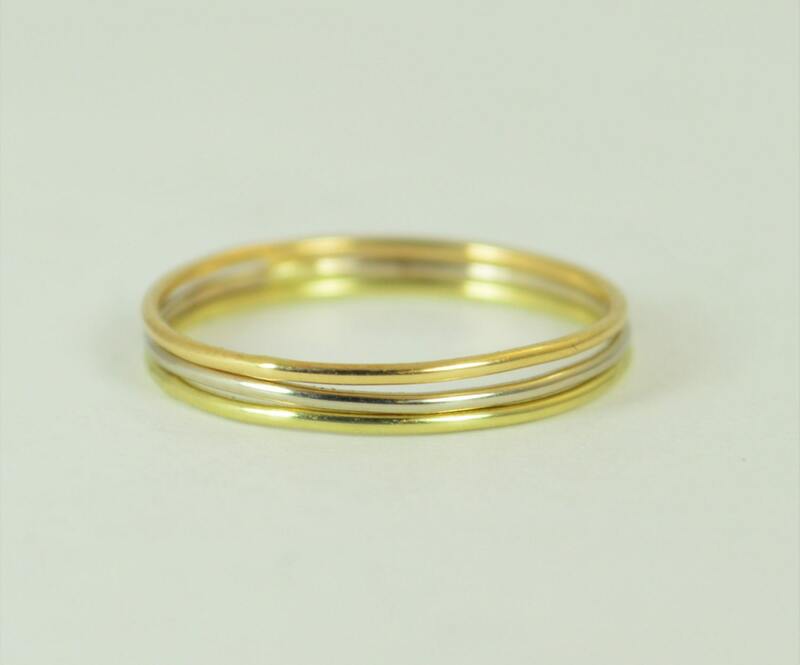 This rings are the skinniest gold rings I make. 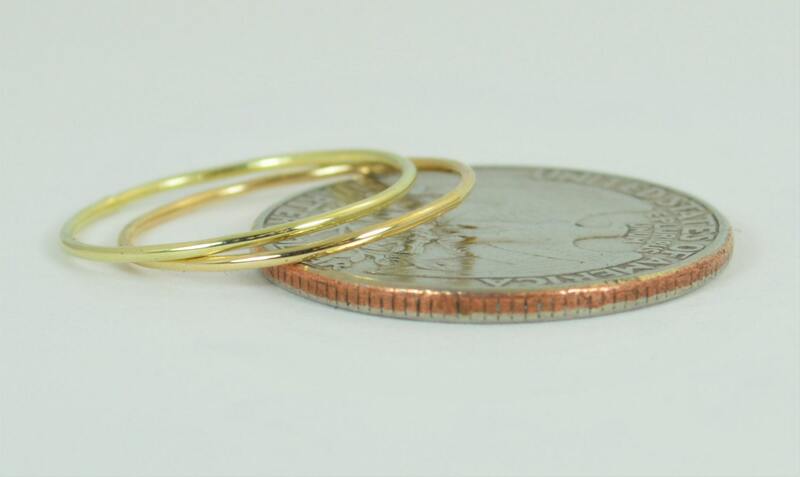 Each stacking ring is made with 14k recycled gold. • Each ring is about .85mm. Serious 5 star service, expedient shipping, lovely packaging and last but not least beautiful jewelry. I am a repeat customer and a forever customer!